When you want to automatically build a relay team, you need at least four swimmers with an individual time. For example, in a 400 free relay you need four swimmers with a 100 free time. You will see the number of teams you specified built. It builds them from oldest to youngest swimmers for each relay team. 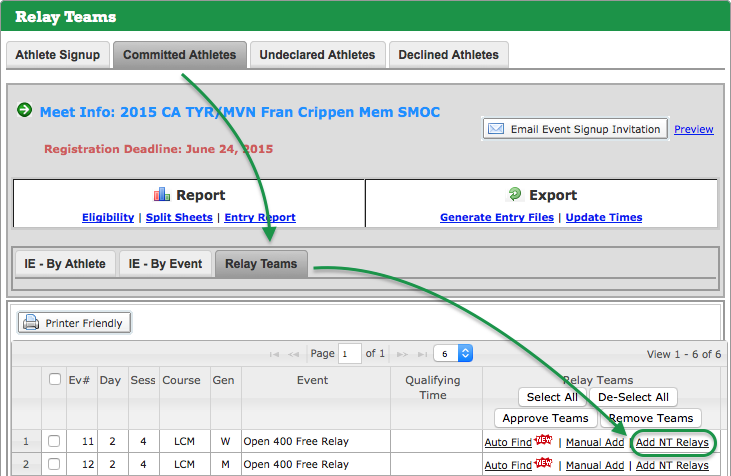 Click a relay team name, such as Relay B. In the Entry time field, replace NT with the desired entry time.